Vacuum Pumps Vaccon's air-powered venturi vacuum pumps are highly efficient, capable of reaching 28"Hg [948mbar], dirt tolerant, and include a silencer for quiet operation. Vacuum Valve Stacks VP92 Max Series and Vac-Stac™ Series provide a quick and efficient way to add vacuum to valve stack bases. 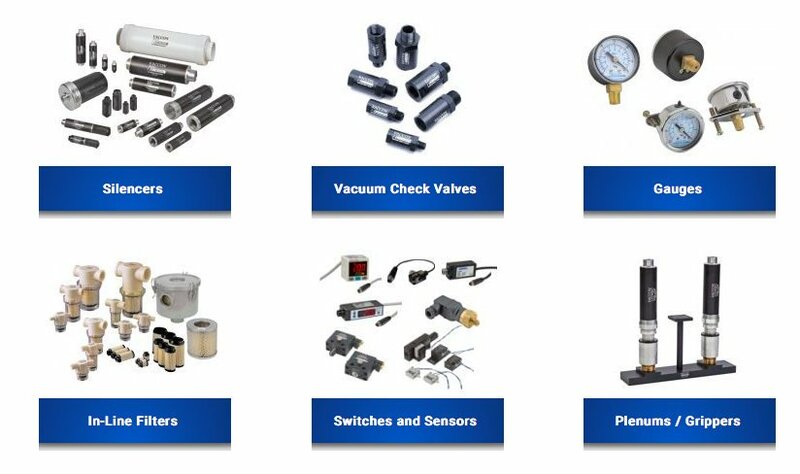 Vacuum Cups & Fittings Vaccon offers a wide range of vacuum cup styles and sizes. Fittings in multiple styles are also available individually or as a cup assembly.